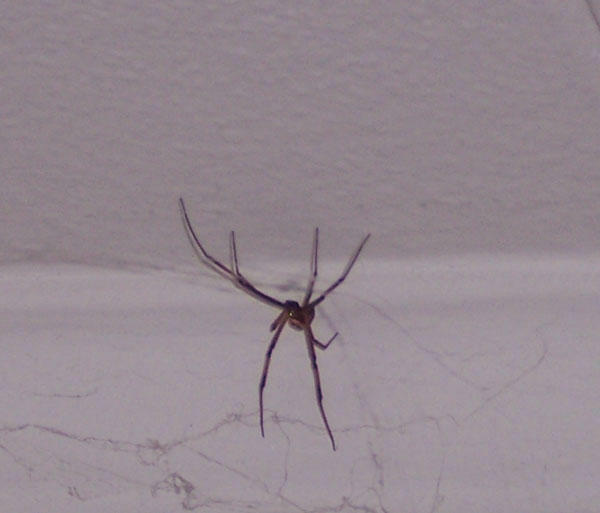 In the corner of our bedroom ceiling. Hasn't moved yet, but not I'm not sure what we're going to do about it yet. 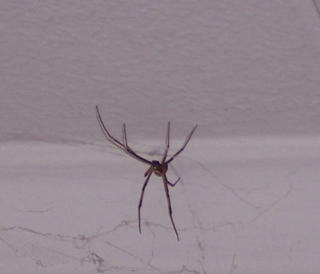 I'm usually not that scared of spiders, I just squish them, but this one's long, barbed-looking legs really freak me out. Ick! Not something you want to see when you first wake up. Too late, we already mooshed it. Gone forever.